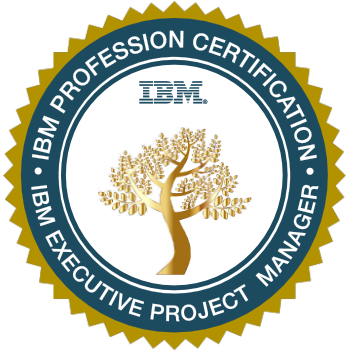 This badge holder is recognized as a subject matter expert and a Thought Leader within IBM, and likely outside IBM, in Project Management. Often handles the most challenging situations. Takes responsibility for moving the business in a specific direction. Stays up to date on external developments in Project Management and on the ways that IBM can address these developments or use them to best advantage. This badge is only available for IBM employees. Achieved a Thought Leader level in Career Framework in the Managing Project and Programs capability. Submitted validation requirements for a Subject Matter Expert (SME) review. Experience was assessed by Project Management Board members, and have successfully passed the Board interviews as defined in the certification process.